What's next for the EU banking sector? The European banking sector today looks very different to the one we had in 2011. Thanks to the long term refinancing operation and quantitative easing, the sector no longer faces liquidity problems. The major challenge, however, is the elevated amount of non-performing loans still sitting on many banks’ balance sheets. Whether European leaders can reach an agreement on how to address this issue remains crucial. In the current environment, the best placed banks have solid credit quality, a high level of shareholder equity and a high return on assets, enabling them to absorb increased credit costs. 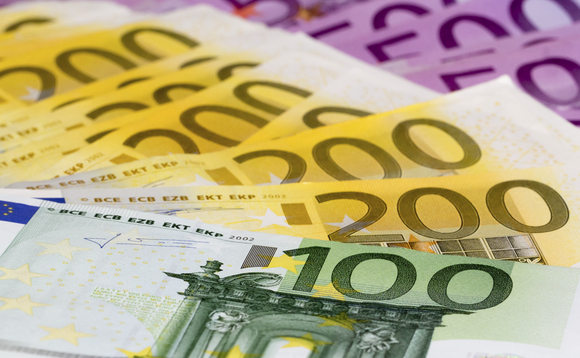 What can the European Central Bank (ECB) do to restore confidence? We believe the most effective solution would be for the ECB to follow the approach taken by the Fed to shore up the damage caused by the subprime crisis. In 2008, US Congress signed the Troubled Asset Relief Program (TARP), allowing the US Department of the Treasury to purchase or insure billions of troubled assets. Following this the Treasury purchased illiquid, difficult-to-value assets from banks and other financial institutions and the US Federal Reserve expanded its balance sheet from approximately $500bn of assets at the end of 2008 to more than $4000bn by the end of 2014. This included more than $1500bn non-government papers, such as residential mortgage backed securities. Should we be more concerned about Italian banks? Economic growth in Italy over the past ten years has been at best weak. This, coupled with the financial crisis and some specific cases of mismanagement, caused a sharp increase in non-performing loans. The source of such problematic assets is widespread and includes commercial real estate, SME and consumer loans. We believe that a stress test would highlight an overall solid capital position for Italian banks, but also some risks, namely high Texas ratios (amount of gross non-performing loans on shareholders’ equity plus reserves). A consistent disposal of such assets will be required to address this. We don’t see any Italian bank eager to step-in and buy the weakest players. The restructuring and clean-up process will thereby need to be managed and organised directly by the Italian government, with the full support of European institutions. If they manage to find a credible solution for Banca Monte dei Paschi before the October / November referendum, this could turn into a material positive trigger, not just for Italian banks but for the European banking system as a whole.